Faith and Scrilla dropped 'Gimme' and the crowd loved it. 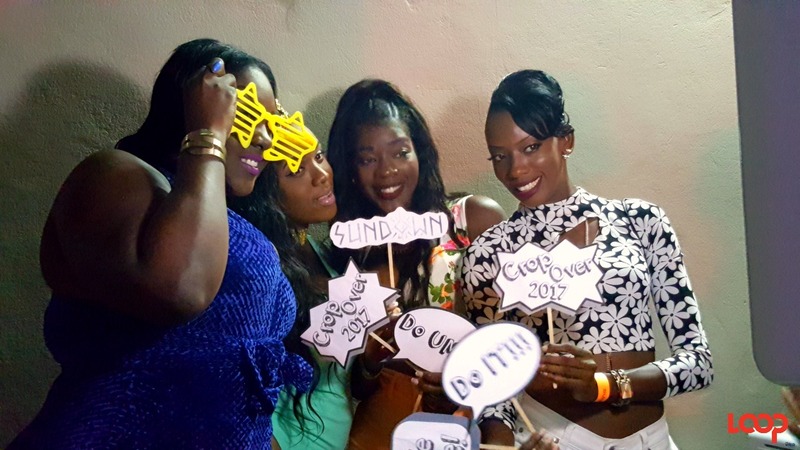 Gimme Soca Thursday – Crop Over 2017 Edition was lit for the most part. 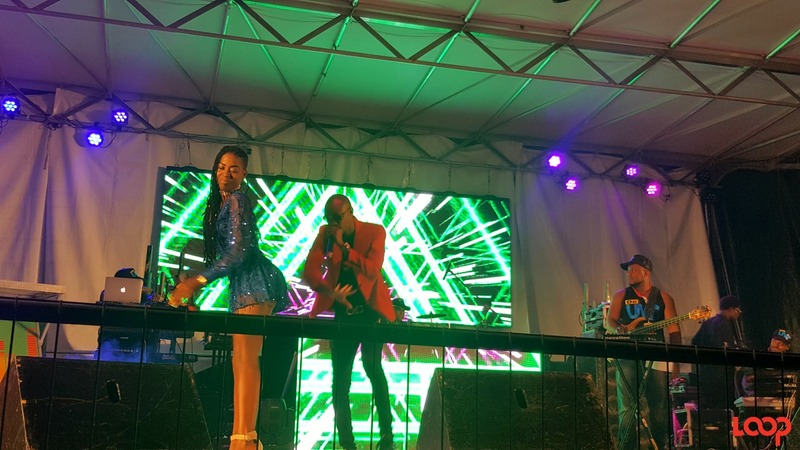 The only thing the rain cancels is cricket, according to the organizers of Gimme Soca, who gave patrons an extra hour to stay dry before heading to Kensington Oval for a socatastic show on Thursday, August 3, 2017. Scheduled to start at 9:00 pm, because of the heavy showers, the organisers delayed the start to 10:00 pm and performances commenced just after midnight once Dj Hutchy and Sizz had gotten the audience to draw near to the stage and circle with their crews. The hundreds who attended enjoyed drinks-free in both the general and VIP sections and majority of them came asking one thing – gimme soca. On that note, almost every single performance got raving responses from the crowd or sections of the crowd but when Jamaica’s Charly Black chose to sing some of his dancehall and reggae songs, the crowd’s energy fell flat. One or two sang along but only when he sang ‘Gyal you uh party animal’ did he get the most forward. Not having been in Barbados to perform since 2008 when his most popular tune was ‘Buddy Buddy’ Black was happy to be in Barbados and shared a bit of his testimony saying that he is an example “of from nothing to something”. He also got some ladies to cheer during his rendition of ‘Perfect’. 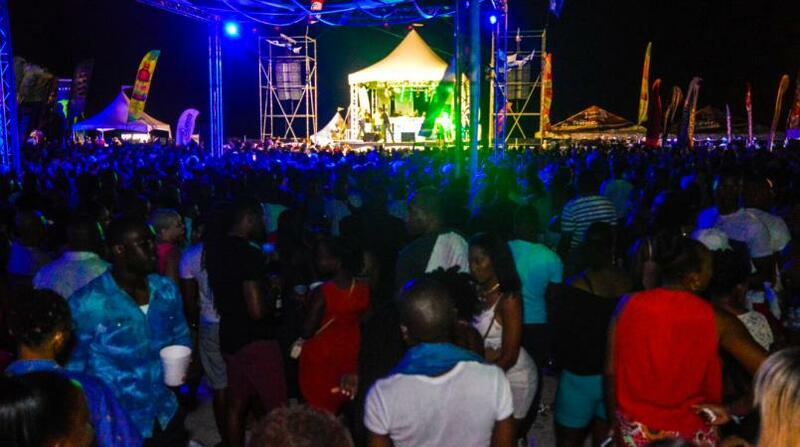 Besides the reggae/dancehall lull, the night belonged to soca and the soca lovers were there for that completely. The slew of performers was backed by De Unit band and Riddim Tribe dancers also boosted some performances with their sick moves as usual. From the time Versee Wild, Joe Cloudy and their dancers ‘up de ting’, soca vibes were welcomed with opened arms and the whole night was pace as act after act hit the stage with little chit chat in between from Host Jamar the Star. Hypasounds started groovy then he kicked it up a notch and ended with ‘Dip’ which sent the crowd in to a frenzy. Shaquille’s Collateral had the crowd so hooked he told them “they sound sweet” singing his self-penned lyrics back to him. The Bashment Soca King Stiffy came out dressed 'sharp' in all black and he made all de women walk out, tip and bend ova. He was not the only bashment soca artiste in the mix though because Scrilla’s ‘Wood’ raised the energy and then when he brought out Faith and they did their collaboration ‘Gimme’, some patrons ‘did all de tings dat dey neva did’. 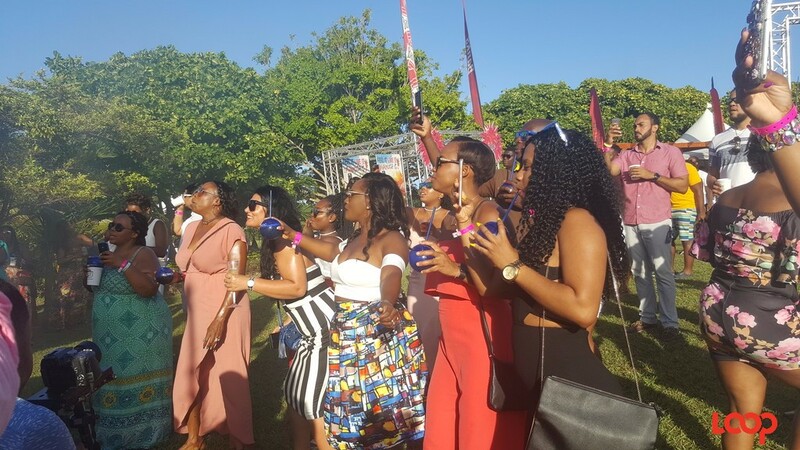 Nikita had them yelling ‘Tequila’ de same way as she carried de fete and vibe to higher levels. MarzVille gas(sed) it up another notch, before using ‘Give it to ya’ to set waistlines into slow motion. Fadda Fox gave instructions and made the entire crowd duck in unison. The Bajan cast was not o be outdone and King Bubba come to make de gyals bubble as he fixed it propuh. Performing in Barbados for the first time ever was Cayman Soca Monarch Andrea Rivera. She gave the people her response to Fadda Fox’s Good Ole Days and she told the audience that it was “with his blessing” that she wrote the track. Trinidad’s Blaxx made the people spread their hands and leggo and then his fellow countrymen Ultimate Rejects went ‘Full Extreme’. Blaxx was backed by DJ Riggo Suave. St. Lucia was well-represented as Freezy brought ‘Split in de Middle’ and followed it with his new track ‘Bend de banana’. Freezy did not disappoint as his dancers twerked, split and held their feet in the air as he sang.